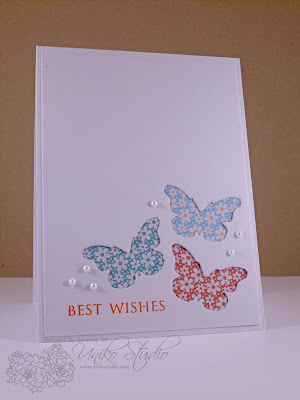 This is another card that we will be making in the class. This card uses the BRAND NEW Uniko Studio BRIGHT Butterflies Designer Dies which haven't officially launched over at Uniko Studio. The Paperlane customers & class attendees are getting an exclusive opportunity to see, try & buy these beauties nearly 3 weeks before official release! How cool is that?! 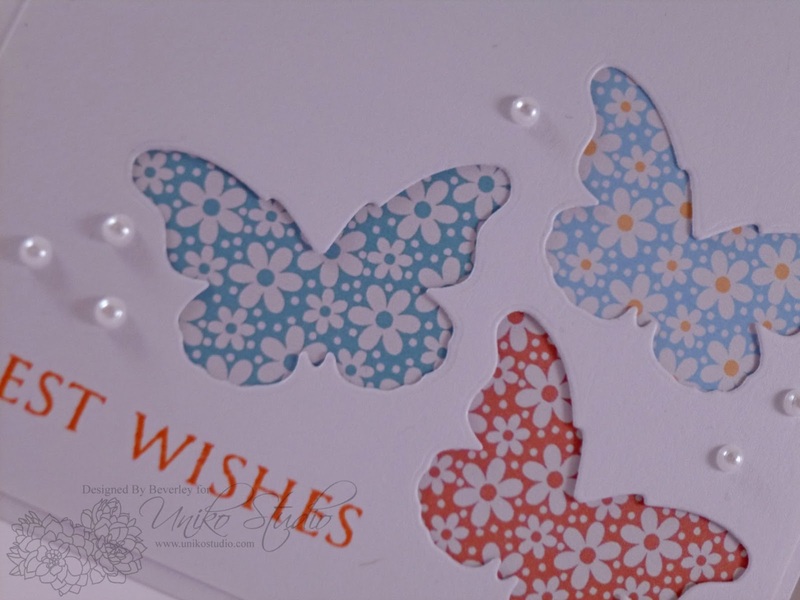 This card uses one of the dies to create butterfly windows to show off some lovely designer paper. This technique of emphasising the negative is so much fun & is a great way to use up those scraps of patterned paper in your stash! I'd LOVE for you to come along & join in on the fun!